Our Google+ community area was simply brilliant. That was until Google decided to abandon Google+. So, the ever resourceful staff at Adwick ASC have created a community area right here on the website. Just follow the ‘Community’ link in the main menu. 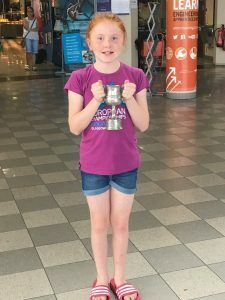 Congratulations to Grace Blair on winning top girl at the very competitive Sheffield & District Meet on 2nd Sept.
Grace swam brilliantly at Ponds Forge to come first of the 10 year old Girls. In order to ensure that our members are better informed, we have set up a Google Community. This can be found here. 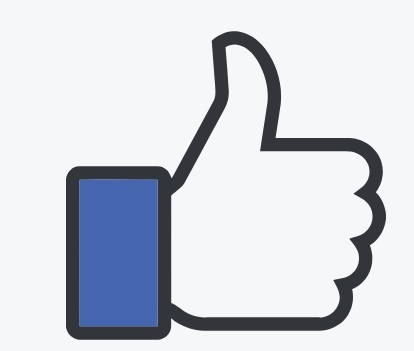 In order to join this community page, you should send an email to adwickasc@gmail.com. County Pathway Programme for 2018. The County Pathway Programme has been developed by the England Programmes Team. Swimmers have been selected as a result of their performances at the Yorkshire Swimming Championships in February 2018. 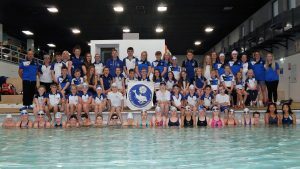 24 swimmers have been selected (12 Male & 12 Female) all of whom will be 11 years of age at the 31st December 2018. The programme will consist of three one day camps to be held at Ashville College, Green Lane, Harrogate, HG2 9JP, on the 15th April, 8th July & 16th September 2018. For us, a relatively small town club, having three out of the 12 female swimmers hand picked for these prestigious training camps, is brilliant news. We have changed our kit suppliers and swimmers can now order direct. 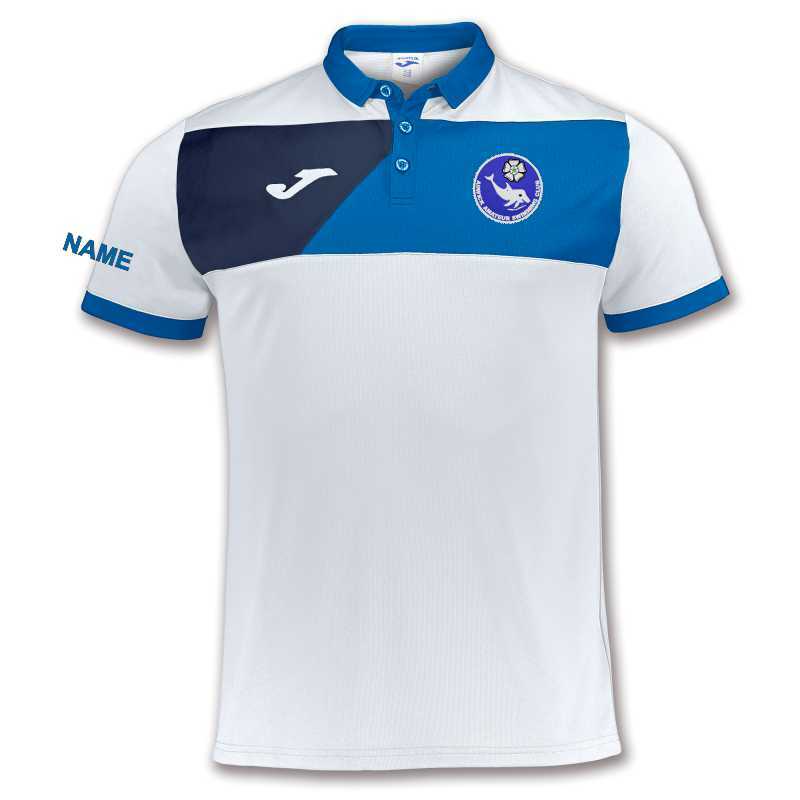 To view, go to The Club Shop and use the links OR go direct to the supplier’s site. Not only do we believe that the 2018 kit represent better value but the fact that swimmers can order 1 at a time will make it easier for everyone at the club. PLEASE NOTE :- WE HAVE ‘FOUND OUT’ THAT THE SIZE GUIDE IS ‘NOT QUITE RIGHT’ – PLEASE ORDER ONE SIZE LARGER OR YOU WILL END UP WITH A RATHER SNUG FIT. Adwick ASC are so very proud to announce that our very own Hollie Pinder has been selected to represent England in the forthcoming CP World Games. This prestigious event takes place in Sant Cugat, about half and hour’s drive north of Barcelona between 6th and 12th August 2018. Adwick Amateur Swimming Club member, Leesha Bentley, has been appointed to the Swim England Youth Advisory Panel. Leesha is one of five young people from across England to be selected this year, and will act as an ambassador for her sport both in her local area, and across the region. Set up in 2007 and formally called the National Youth Forum, the Youth Advisory Panel is made up of around 10-15 young people aged between 16-25 from all aquatic disciplines, and their feedback and discussions at the quarterly meetings feed directly into the Swim England Volunteer Engagement team. 16-year-old Leesha has been with Adwick ASC for eight years, training for 6 hours and week, swimming in competitive galas across the region and now coaching under 10s on a Friday evening. Swim England Sports Development Director George Wood said: “I would like to congratulate Leesha and the other four new members of the Youth Advisory Panel. Ensuring that there are young people engaged with our work is essential as they are the future of our sport at club and community level. “Including young people in the decision making process helps keep us relevant and allows us to understand the needs of the young people involved in our sports. Youth Advisory Panel members are in post for two years, and the Swim England Volunteer Engagement Team uses their skills and expertise to help develop volunteer resources such as the Good Club Guides as well and influence change within the organisation.